FFA - Transit authority tells CAIR Florida they cannot use the word Jihad in their propaganda campaign. Transit authority tells CAIR Florida they cannot use the word Jihad in their propaganda campaign. Emails opposing CAIR's campaign made a difference. Florida Family Association launched an email campaign on March 27, 2013 that encouraged subscribers to urge transit authority officials to deny CAIR Florida’s advertising campaign to redefine the Islamic word Jihad. This campaign appeared to be propaganda that was intended to neutralize the meaning of the Islamic word Jihad in the minds of the American public. CAIR Florida (Council on American Islamic Relations) submitted the advertising copy posted below to the transit authority in Tampa, Florida named HART. The below advertising was proposed for mass transit buses in Hillsborough County, population 1.3 million. 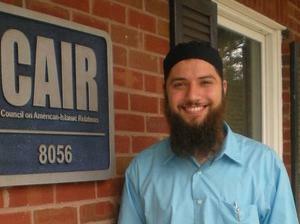 HART rejected the advertisements earlier this year because their policy prohibits “Advertisements that primarily promote a religious faith or religious organizations.” Hassan Shibly, Executive Director of CAIR Florida appealed the executive decision to the HART board of directors. CAIR’s proposed #MyJihad campaign was placed on HART’S April 1, 2013 agenda to be considered at a public hearing. Thousands of Florida Family Association supporters sent emails to urge the fifteen members on the HART board of directors to reject CAIR’s #MyJihad campaign. Hassan Shibly conveniently informed HART that he could not attend the April 1, 2013 public hearing date after learning of Florida Family Association’s campaign and the thousands of emails received by HART board members. HART officials informed Florida Family Association that Shibly planned to resubmit his request for the HART May 6, 2013 public hearing. However, HART informed Florida Family Association with the following email that CAIR was not on the May 6, 2013 agenda. Good afternoon. At this point, there are no plans to include a presentation from CAIR on the agendas for any of the upcoming HART Board meetings. The draft agenda for the May 6 HART Board meeting is attached for your information. The full May 6 HART Board regular meeting packet will be available at www.gohart.org website next week. The May 6, 2013 HART public hearing is over. No one from CAIR made any requests or comments on or off the agenda regarding their #MyJihad campaign at the meeting. Florida Family Association has learned that HART told Hassan Shibly the last week of April that there was no way that they would allow the word Jihad to be used on their mass transit vehicles. It was also learned that CAIR may try to develop another campaign that does not include the word Jihad. A special thanks to everyone who sent emails regarding this issue. Your emails made a difference. Wikipedia states “Jihad, an Islamic term, is a religious duty of Muslims. Jihad is an important religious duty for Muslims.” No other religion uses the term Jihad. Additionally, the first and most common definition for Jihad given by the Merriam Webster dictionary is: JIHAD 1: a holy war waged on behalf of Islam as a religious duty; also : a personal struggle in devotion to Islam especially involving spiritual discipline.